From an author whose work is said to “burgeon with joy,” here is a gentle mystery about a silent, gallant lion and a sweetly cheerful bird—two friends who are attracted to each other through the universal language of art. Elisa uses watercolor, gouache, ink, colored pencils, pastels, markers, and crayons to collage this charming and colorful tale. I write and illustrate picture books because I've never outgrown a deep childhood urge to enter a magical world. As a child growing up in Los Angeles, I used to wish that my huge, congested city were more like the places in the books that I loved - places where forests grew and seasons changed, where animals talked and anything was possible. I envied those characters who slid down rabbit holes, or visited with Charlotte and Wilbur, or flew with Peter Pan, or floated with Mary Poppins, or journeyed to Oz. Since I couldn't actually visit these wonderful worlds (except, of course, by reading), I made little imaginary worlds of my own, using the materials at hand. My favorite project was an enormous dollhouse in my closet. The house was filled both with "store-bought" toys, and with dolls and creatures which I made myself, from paper, cloth and clay. I'd lose myself for hours making up stories about these characters. I loved to make them treasures from scraps of this and that: a paper doily would become a lace tablecloth; half a walnut-shell would be a baby's cozy cradle; a postage stamp would make a lovely portrait on the wall. Around the dollhouse I painted a mural, a fanciful landscape of forests, fields, mountains, blue skies - the world that I wished I could live in. I lived in Los Angeles until I was 17, then left to study at U.C. Berkeley where I received a BA in English and later a teaching credential. After reading to young children as a teacher for several years, I had a strong desire to make my own books. My first picture book was published in 1988, and eighteen have followed. (Sometimes I illustrate other authors' stories, sometimes my own.) Like all authors and illustrators, I love to make up characters, and build stories and environments around them. To make my pictures I combine many media: watercolor, gouache, ink, colored pencils, pastels, markers, crayons -- anything that works! I also use lots of collage. As I did in childhood, I snip and glue old scraps into new shapes: a piece of wool becomes a lion's mane or a child's hair. A doily, snipped to bits, becomes a snowstorm. Like my collages, my stories are also about the power of imagination to transform old into new, familiar into fantastical. 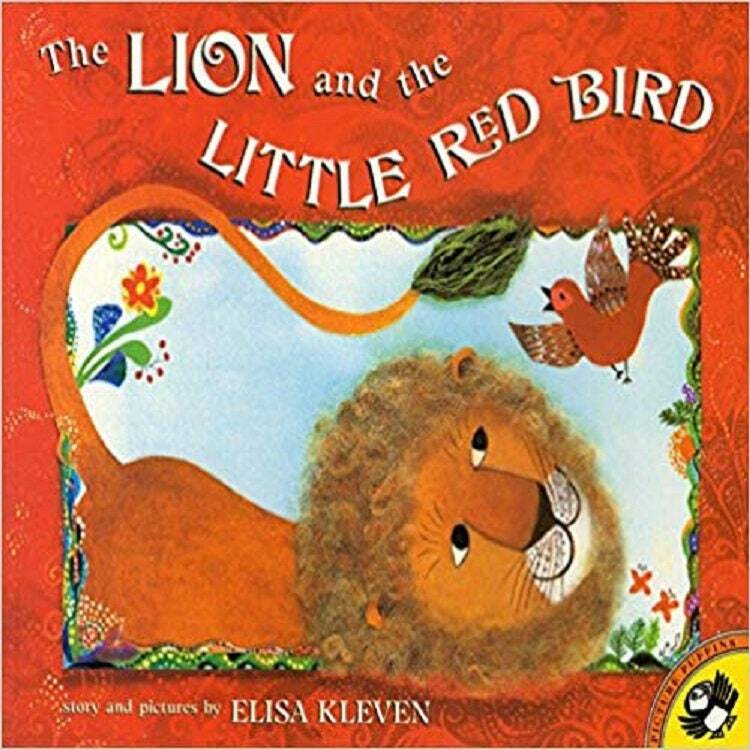 In the book The Lion And The Little Red Bird, a lion turns his tail into a paintbrush, and the walls of his cave into a sunlit, painted world. In The Paper Princess, a drawing on paper becomes full of possibilities: by turns, it is a paper doll, a crumbled wad of litter, a birthday card, and a beloved doll again. The child in Hooray, A Pinata! imagines that a dog piÒata is a favorite pet. Ernst the crocodile in The Puddle Pail sees ordinary rain puddles as sparkling, collectible treasures . The girl in A Monster In The House imagines her baby brother to be a giant, messy, screaming, toe-sucking, hair-pulling monster. And in my newest book, Sun Bread, a baker brightens a bleak winter by shaping bread dough into a warm, glowing, life-giving sun. Although I love creating imaginary worlds, I also enjoy drawing real places. Three of the books I've illustrated take place in big U.S. cities. Abuela, by Arthur Dorros, is set in New York. City By The Bay, by Tricia Brown, is "a magical journey around San Fransisco." And City Of Angels, by Julie Jaskol and Brian Lewis, explores my home city of L.A. The life, energy, textures and wealth of detail in cities inspire my collages. I'm very inspired as well by my children, Mia and Ben (ages nine and four), my husband Paul, our two dogs and our cat. They all appear in many forms and disguises in my books! My family and I live in the town of Albany, California, next door to Berkeley and across the bay from San Fransisco. From our window, we can see the Golden Gate Bridge, and the boats on San Fransisco Bay.